Now, is it possible to devise a customer participation program that makes use of all the traits mentioned above and is also successful? Until now brands have been focusing on only one or two of those motivators, and giving a cold shoulder to others.That gives customers a reason to switch to other products or brands that may be paying attention and responding to more of these motivators. Coming back to the question again, yes, it’s perfectly possible for companies to address all the prominent purchase motivators by creating a loyalty framework. Please note that I have used the term loyalty framework and not loyalty program. A loyalty program alone can certainly tap all the motivations, however it will do it less effectively. 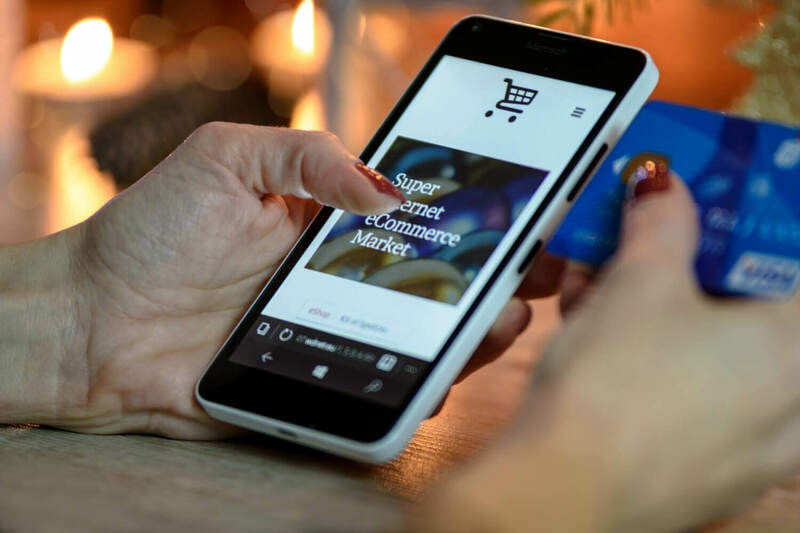 But the moment you align a loyalty program with advocate marketing solutions like ratings and reviews, user generated content, visual commerce, and post-purchase sharing, it gains altogether a different power. Let’s see how these purchase motivators fit in within this framework! It is safe to say that one of the most powerful purchase motivators for people’s actions is need. We all need solutions to our day to day issues. Customers may want a way to redeem loyalty program points via mobile phones, but they may also need a proper rationale to validate their participation in the program. We all need to be assured about the utility of whatever we do, and that’s why your customers may ask themselves questions like “is this loyalty program really capable to solve my problems?” and “what exactly can I gain by entering this program?”. 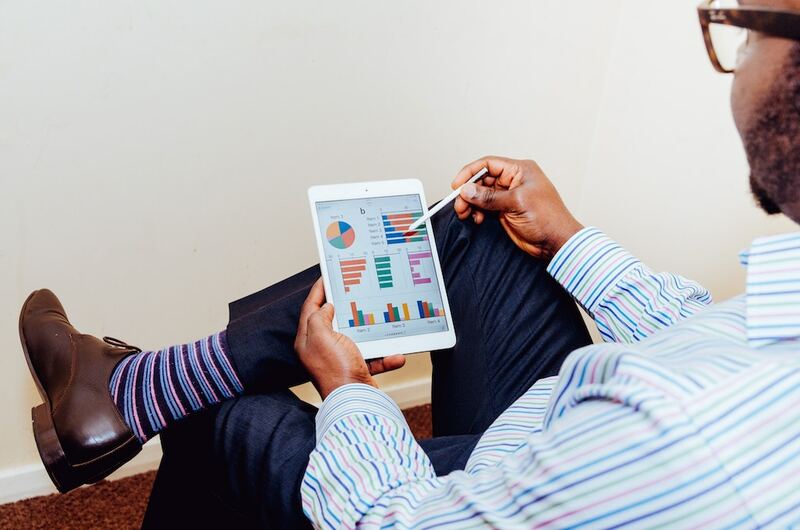 If the answers to these questions are positive, definite, and most importantly, communicated effectively; there is a really good chance customers will be a part of and constantly engage with your loyalty program. Of course that’s easier said than done but, the communication around your loyalty program needs to be crisp, clear and should be able to answer this question: what will customers get by being part of it? 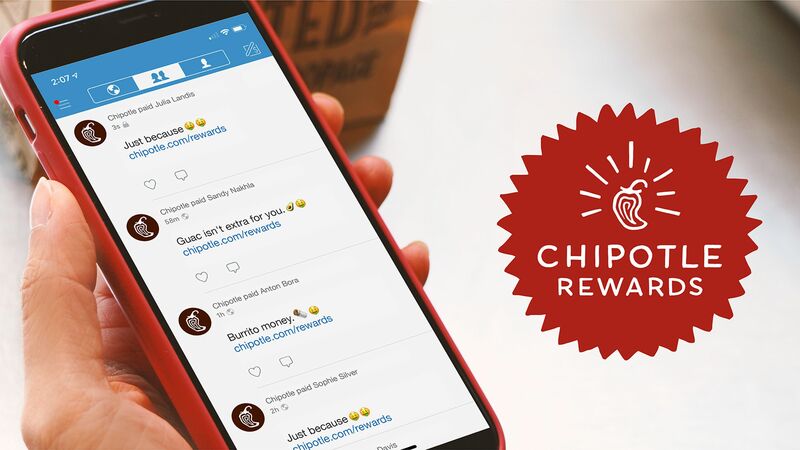 Boloco, an American restaurant chain known for its burritos, is an example of a company who communicates its loyalty program message as clear as possible. 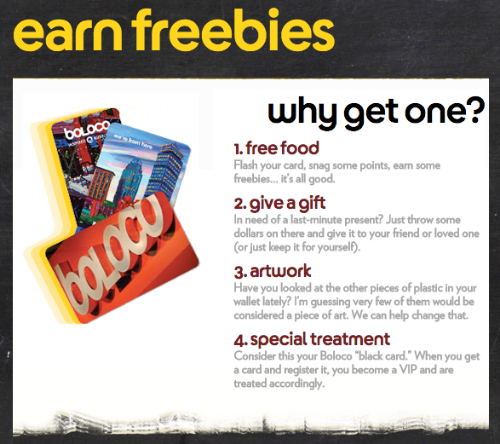 It runs its loyalty program through a Boloco Card that people swipe after every purchase. When customers look at the program, they get a clear idea about the benefits of the loyalty program- free food, artwork, and special treatment. Even when customers don’t have a clear picture in mind about what exactly they want, the clear message of what they’ll get out of the program is enough to create allurements in their minds. They easily see the worth of the program, which is usually the first mental hurdle that customers have to cross to participate in any loyalty program! Ratings and reviews– a form of User Generated Content (UGC) – comes as a panacea for this too real and common problem. As they are written by real customers, they come with a whip of authenticity and credibility. Considering the fact that only loyal customers will suggest your brand to others and that word-of-mouth is the primary factor for 20-50% of all purchasing decisions, it makes a lot of sense to integrate your loyalty program with ratings and reviews. You can ask your loyal customers to write reviews about your products and offer them loyalty points in exchange. 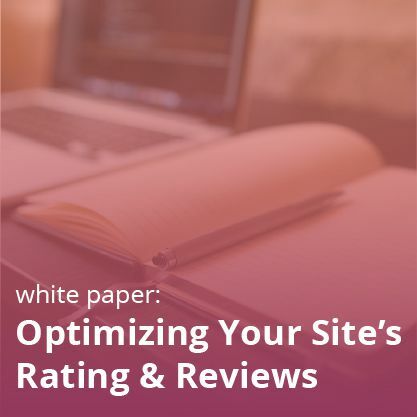 Those ratings and reviews can be the credibility quotient in motivating people to participate in your loyalty program. And of course, it does a lot for your online visibility too! Check out this post to learn more about how UGC and loyalty interact to fuel engagement. And if you’re wondering what next year has in store for UGC, look no further! Buying something trivial or day to day objects can hardly fall in the category of ambition, but it has been a proven fact that when consumers sees products in a manicured way, or when they constantly hear positive things about it, the desire to purchase is sparked. If a brand wants a product to set the market on fire, it must make it as aspirational for customers as NASA is for any space scientist. You can achieve this by creating a series of emails as a subsidiary part of your loyalty program, for example. You just need to make sure that it presents your products in a framework that is necessary for your products. If you make machines, then talk about the power and benefits of your machines. If you are in a home décor business, then focus must be on amplifying the aesthetic and beauty element of your products. And make sure to send your message not only through words, but through images as well. The most sensible way to involve your loyalty framework here is through a visual commerce campaign. Create a call to action and ask your customers to share inspirational images of them with your products or enjoying your services. Then, use these pictures and videos as ammunition in on-site galleries, product detail page sliders, marketing emails, social posts, and more. Aspiration is one of the strongest purchase motivators for certain industries, including fashion. 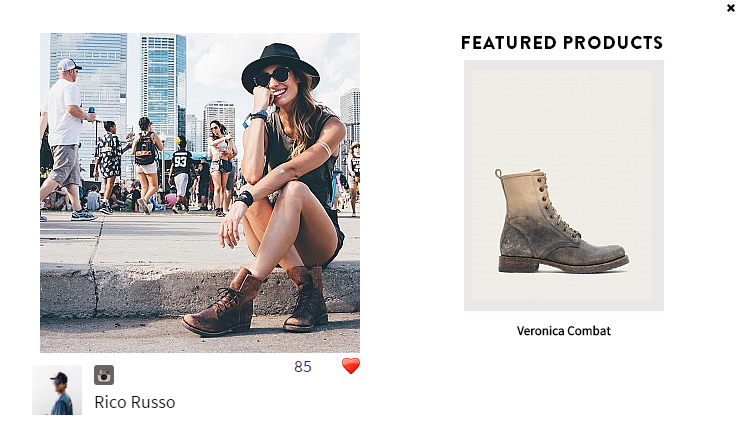 Frye leverages it with Visual Commerce. I think we can all agree that people like to flaunt what they buy, even when they don’t admit that this is one of their purchase motivators. This behavior explains why Facebook and Instagram posts are always filled with photos of recently purchased shoes, purses, and even cars. Brands can take advantage of this behavior by aligning their loyalty program with a Post-Purchase Sharing solution. 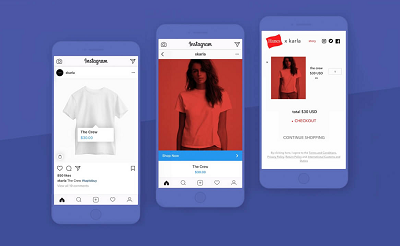 Post-purchase sharing enables customers to show off the recent purchase they’re excited about with friends and family by sharing about it on social media or email. And believe me… it will always work. People even want to post what they eat! This is how Jetsetter, a dealer in the holiday sector, is encouraging post-purchase sharing. You just have to add this facility to your loyalty program. People love to feel different, special, and exclusive. Some people find this to be one of their strongest purchase motivators. And sometimes, even if subconsciously, all they want is to have something that others are sorely missing. More or less, the luxury industry is based on this need of exclusiveness. It comes down to the prestige and social status, which gets elevated when you are placed in an elite or a rare group of people. Brands can use this need of feeling special in any other industry by simply providing customers with some sort of special treatment. The luxury industry does that with the rarity of products, and you can do that through your loyalty program by giving special rewards and segmenting people based on their spending or other actions that you may see fit. For example, the more often a customer makes purchases, the more special they will be treated. That can be done by offering exclusive and early access to your products or inviting them to your mega events which are generally accessed only by the press and eminent people. Another simple way is to create a multi-structured loyalty program to add an extra layer of exclusivity. You can have a tier that is only obtainable by a selected few. In the corridors of buyers, this is sort of a status game and it is powerful enough to make others shop more from you to become part of the exclusive club. As we have discussed in this blog, it’s more than obvious that the real strength of a loyalty program lies not in operating it in isolation. A strong loyalty program will collaborate with new emerging solutions like UGC and ratings and reviews. That leverages the factors that motivate people to buy with an extraordinary power that loyalty program alone will never have. Note: We genuinely believe that loyalty program can become even more effective when combined with other solutions. And our faith has been proven right by Murad’s success story. After combining UGC with a loyalty program, Murad saw an 18% increase in the conversion rate along with the acquisition of 150,000 loyal members in only 6 months. Read this blog, where we have explained how loyalty and referrals are a perfect match for each other.